I have solemnly swore to myself to lay off getting any new books (yeah, right) until I get my TBR pile under control. It's getting ridiculous and I'm starting to feel overwhelmed by it. 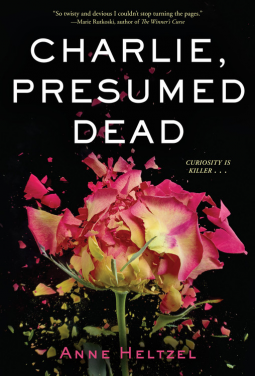 gather to mourn the tragic passing of Charlie Price—young, handsome, charming, a world-traveler—who is presumed dead after an explosion. Authorities find only a bloodied jacket, ID’d as Charlie’s. At the funeral, two teens who are perfect strangers, Lena Whitney and Aubrey Boroughs, make another shocking discovery: they have both been dating Charlie, both think Charlie loved them and them alone, and there is a lot they didn’t know about their boyfriend. Over the next week, a mind-bending trip unfolds: first in London—then in Mumbai, Kerala, and Bangkok, the girls go in search of Charlie. Is he still alive? What did their love for him even mean? The truth is out there, but soon it becomes clear that the girls are harboring secrets of their own. This looks like a page turner. I'm ready for a good suspense read! 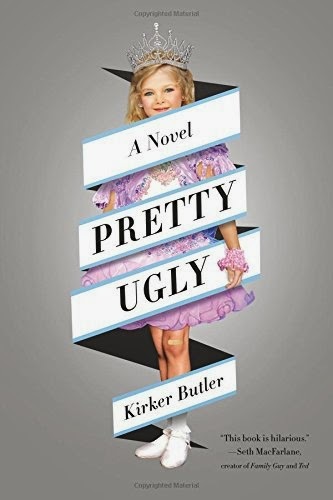 satirical look at a dysfunctional southern family complete with an overbearing stage mom, a 9 year-old pageant queen, a cheating husband, his teenage girlfriend, a crazy grandmother, and Jesus. After eight-and-a-half years and three hundred twenty-three pageants, Miranda Miller has become the ultimate stage mother. Her mission in life is to see that her nine-year-old daughter, Bailey, continues to be one of the most successful child pageant contestants in the southern United States. But lately, that mission has become increasingly difficult. Bailey wants to retire and has been secretly binge eating to make herself "unpageantable;" and the reality show Miranda has spent years trying to set up just went to their biggest rival. But Miranda has a plan. She's seven months pregnant with her fourth child, a girl (thank God), and she is going to make damn sure this one is even more successful than Bailey, even if the new girl is a little different. Miranda's husband, Ray, however, doesn't have time for pageants. A full-time nurse, Ray spends his days at the hospital where he has developed a habit of taking whatever pills happen to be lying around. His nights are spent working hospice and dealing with Courtney, the seventeen-year-old orphan granddaughter of one of his hospice patients who he has, regrettably, knocked up. With a pregnant wife, a pregnant teenage mistress, two jobs, a drug hobby, and a mountain of debt, Ray is starting to take desperate measures to find some peace. Meanwhile, the Millers' two sons are being homeschooled by Miranda's mother, Joan (pronounced Jo-Ann), a God-fearing widow who spends her free time playing cards and planning a murder with Jesus. Yes, Jesus. A bright new voice in satirical literature, Kirker Butler pulls no punches as he dissects our culture's current state of affairs. It's really funny, but it's also pretty ugly. I've been dying to read this. I'm hoping it's going to be as funny as it sounds. 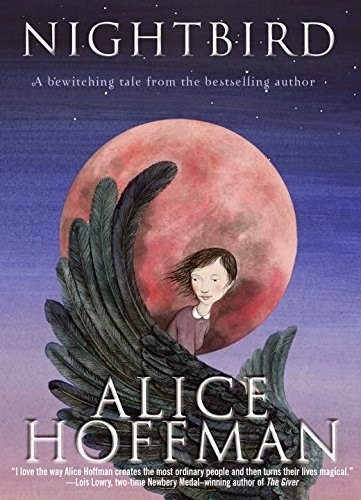 bestselling author Alice Hoffman tells a bewitching story of love and friendship that is truly magical. It's Alice Hoffman, so I don't care if it is aimed at middle school readers, I'll take it.